Before puzzling over that question, allow me to share two thoughts I subscribe to (with bias) on the assessment process. Number one, ‘it’s not the screw, but rather the hand that turns the screw,’ that makes the difference when it comes to assessment quality. 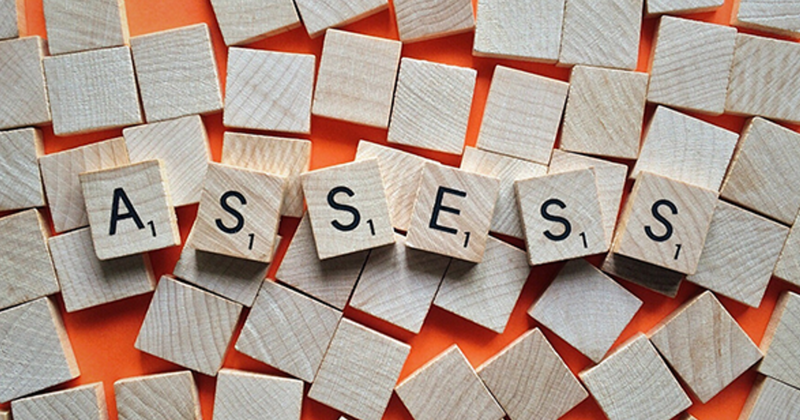 There is a tremendous amount of variance between officers regarding quality of assessments, and rarely can it be attributed to variance in assessment tools. 3rd and so-called 4th generation offender assessment tools – nearly all additive-linear and comparable in itemization and scaling – may vary in price and automation slickness, but don’t differ that much regarding predictive validity. If correction operations have an Achilles’ heel, these assessment issues are a strong candidate. In formal therapy, there’s a long-standing notion that if one screws up a session, it’s better if it’s not one of the first few; that’s because initiation into new processes are where the stronger client attrition occurs. The same might be said for PO’s and case managers in corrections but for slightly different reasons. While engagement and alliance-building are no doubt important in corrections, invalid assessments reliably lead to inappropriate use of resources and additional public safety risk. The WHAT of this blog post is simple, though I’m not sure it is obvious. Because this topic was on my mind during my last 2-3 corrections conferences, resurfacing in many of the conversations I had with other attendees. Posing the question in these discussions about what the most critical skills for conducting high-quality assessments might be, a pattern of answers emerged in two general categories; my discussion partners either emphasized MI and empathy, or intangible, experienced-based competencies like street smarts, and a good BS detector. These conversations yielded my current opinion that empathy AND critical discernment are of crucial importance when it comes to effective offender assessment. Furthermore, these two competencies do not always play well together in the sandbox of offender assessment. Across all the definitions I could find, empathy is described as an ability to vicariously experience the feelings, thoughts, and attitudes of another person (as if you were the other person). Not surprisingly, this ability correlates with emotional intelligence and the core of what is referred to as MI Spirit. Moreover, a Google search quickly reveals that empathy has been extolled by leaders in the arts, sciences, and religion as one of the most valuable human characteristics since the earliest records of civilization. Empathy is a part of our nature, and its only requirement appears to be the willingness to pay attention to another person’s pain and struggles. This understanding proceeds compassion, defined as desire or response to mitigate or alleviate another’s pain. In other words, compassion goes beyond empathy, bringing an active will to act in the interest of the other person forward. However, in addition to building a path to compassion, empathy alone can produce the positive effect of siphoning away the defensive energy of the other person simply because he or she feels heard. 4. Sets the stage for whatever role compassion can play in the on-going alliance or working relationship. None of the above are minor when struggling to ‘suss-out’ another person at a deeper level. And grouped together they lend a steady hand to gathering balanced information within an assessment session or two, at the front-end of supervision. 1. the quality of having a ready insight into things; shrewdness. “If you display perspicacious qualities, you appear to have good judgment; you are perceptive…you are clear of statement, lucid, you make things clear, and hence you have perspicuity.” – Kenneth G. Wilson, The Columbia Guide to Standard American English. Perspicacity is considered both an ability as well as a trait. While it can be learned to some degree, some folks are naturally endowed with more of it than others. If you have perspicacity, you are good at seeing the underlying patterns from one situation (or person) to the next. I believe this is one of the many competencies that POs learn to take pride in through “watercooler conversation”, where unique and surprising cases are often discussed informally (and with an appropriate amount of anonymity). Given the definition of this wonderful attribute, it follows that officers who can apply perspicacity as they assess offenders are apt to draw more accurate scoring conclusions and achieve higher inter-rater reliability. If one could control for (i.e., hold constant) the level of empathy officers have, I believe we could prove that perspicacity has the greater influence on assessment validity. However, we can’t. Officers with high empathy and no discernment (perspicacity) are not likely to score and size-up offenders any better than officers with high perspicacity and low empathy (and defensive clients). Of course, PO’s that are short on both these competencies would fair even less well in assessments. On the other hand, officers that are well endowed with both competencies have the unique ability to engage and help their clients settle-down in the assessment interview (arguably high-stakes for clients) and perceive distinctions within underlying patterns of the client’s story. So, the remaining question is how do we develop both competencies when working in organizational cultures that tend to reward one over the other? Does your local culture lean more towards empathy or perspicacity, ie “social workers or cops”? And if it does, how can space be made to generate excitement about both of the competencies simultaneously? J-SAT, a national consulting company devoted to the successful implementation of Evidence-Based Practices (EBPs) in corrections. Whether we’re training a particular risk assessment tool (e.g., LSI-R; Risk & Resiliency Check-Up; LS/CMI or YLS/CMI, etc.) providing training and coaching in MI, or working with practice models (STICS; EPICS, ESP, etc.) we review and consistently reinforce the use of RNR.